I have worked with Deeplysimple on a number of projects recently as they gear up to launch. I created the name and visual identity and have worked on the development of their web-based CMS product, both for the standard web template and the admin sections. 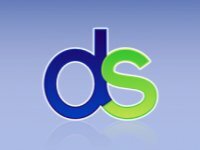 Most recently I was responsible for building a simple mailshot holding page for deeplysimple.com and creating layout templates for web-based slideshows using Eric Meyer’s S5 framework. 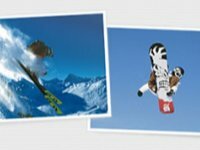 I’ve been working with Edge 2 Edge for a few seasons now and in that time, their business has changed massively with the Internet playing a huge role in their success. Apart from creating the overall concept and layout for edge2edge.co.uk, I gathered the previously fragmented sections into a site that now has continuity and flow between the static brochureware pages, custom-built online rental system and an Actinic e-commerce engine. I worked directly with developers on the templates for the rental system and was responsible for integrating the interface into the Actinic templating system. I’ve created a swathe of media for Rednut, from badges to business cards and many other things in between. The interface for the rednut.net website is another of my creations, with all the usual features such as XHTML, CSS, web standards, accessibility and optimised content. Since redesigning the website, I have refitted two Rednut web applications with interfaces that complement the website. 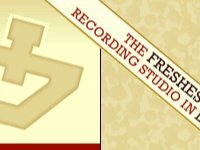 A newcomer to the Indelible family of ventures, Indelible Studio provides a full recording studio service from their facilities in Hendon, North London. I was called in to create an interface for the Indelible Studio website that would work with the Content Management System and media streaming solution provided by Rednut Internet Systems. The interface uses vaild XHTML and CSS. Midmar Castle Warnham Herd is a deer farm in Aberdeenshire, raising trophy stags from pure Warnham Park deer stocks. I created the interface for midmarstags.com using valid XHTML and CSS; the interface is integrated with a custom-built CMS for easy updating by the client. 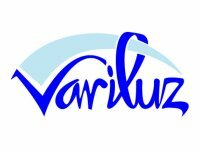 Variluz distributes British-made variable controllers for lighting and appliances to the Spanish trade and retail markets. The owner wanted a text-based logo that looked informal whilst maintaining an air of professionalism and that communicated something about his products without being too literal. The end result is a stylised handwriting font with an accenting arc representing the twist-to-control nature of the products. 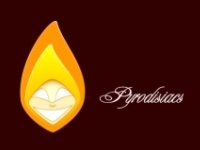 A collective of fire-performers performing at nightclubs, festivals and private events, Pyrodisiacs have also worked on product promotion campaigns and music videos. They had been using the name for years and wanted a logo that conveyed their character as a group. The finished logo combined a hooded face, based on a heart-shape, within a flame. Having already worked with Rednut on their company identity, website and a number of application interfaces, I was asked to name and style their e-commerce solution. It was important that the product’s identity complemented that of the company, so simplicity was the driving force. The name Redbox was stumbled upon during a discussion with the Technical Director and the logomark was a natural extension of the design I used for the the company emblem. The owner of this fledgling wireless security company wanted an identity that balanced techiness with friendliness. 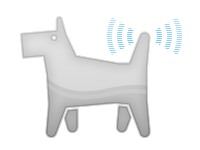 I developed the concept of a digital dog - a wireless “man’s best best friend” who, whilst friendly, would also defend your network fearlessly. The pun-based name and the logomark came pretty quickly after that. Even though the company didn’t stand the test of time, Wi-Fido is still a personal favourite of mine. Natarsha is a freelance photographer from Melbourne in Australia, specialising in fashion and architecture. She had two requirements - a clean and simple logo that could be used for digital watermarking, and a textmark that was unique, yet easy to read. By intersecting the words “Natarsha”, “Gleeson” and “Photography” at 60 degree angles, I created the basis for the both logomark and the textmark. You are currently browsing the work section of the site - to find my latest notes, visit the notes page or choose a topic from the list below.